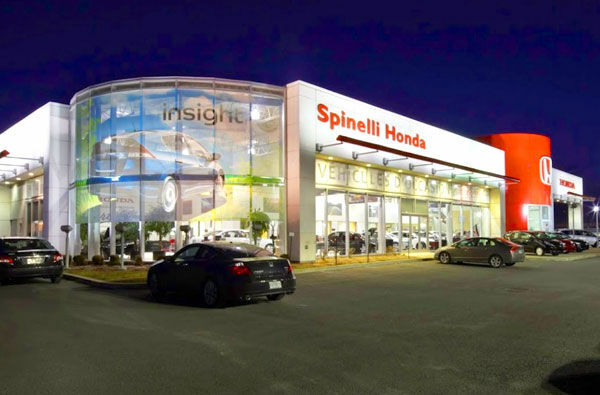 For all of your Honda product needs in Montreal, you can trust Spinelli Honda, which is located on Montreal-Toronto Boulevard in Lachine. At Spinelli Honda, our commitment to great customer service will have you leaving our dealership with a smile. Each time you visit Spinelli Honda, we will make every effort to ensure your satisfaction in our sales and after-sales service department. For a new Honda vehicle in Montreal, come into Spinelli Honda. We have a complete inventory of new Honda vehicles like the new Honda Civic, the Honda CR-V, the fuel-efficient Honda HR-V, the luxurious Honda Accord and the new Honda Ridgeline. We also have a complete inventory of pre-owned vehicles that have been inspected and certified in order to meet your needs while being reliable and affordable. If you already own a Honda, Spinelli Honda has all of your after-sales service needs covered. As a customer, you can also enjoy our exclusive programs like My Spinelli and our Express Service, in addition to our numerous promotions and discounts. For more information about our new Honda vehicles as well as on our after-sales services, contact Spinelli Honda today by phone or by using our online contact form.